The legendary hip-hop duo took the stage with Goodie Mob. During this weekend's ONE Musicfest in Atlanta, Georgia, legendary Atlanta hip-hop and R&B collective Dungeon Family took the stage for a reunion set. Outkast made an appearance to perform classic hit, "So Fresh and So Clean." 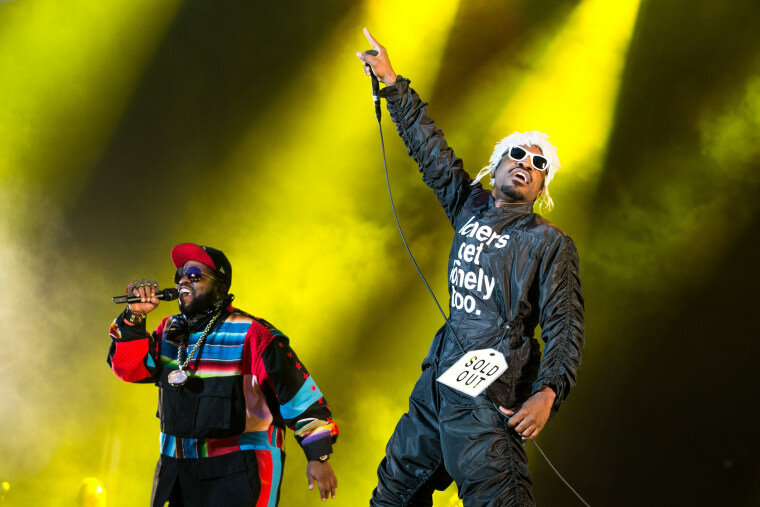 André 3000 also joined Goodie Mob for his verse on "Black Ice," while Goodie Mob and Big Boi pumped up the crowd with "Dirty South." Watch fan footage of the show below.